Candice's Beauty Blog! 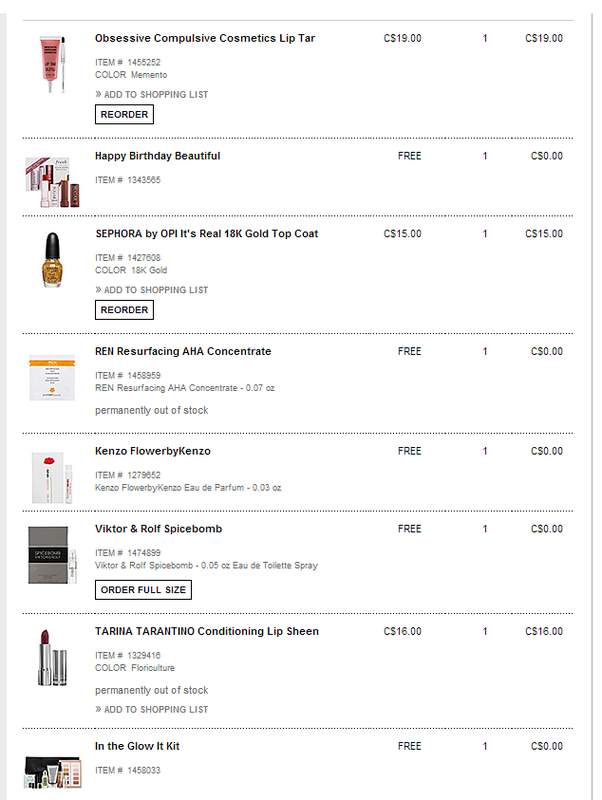 : Yay, Sephora Order! 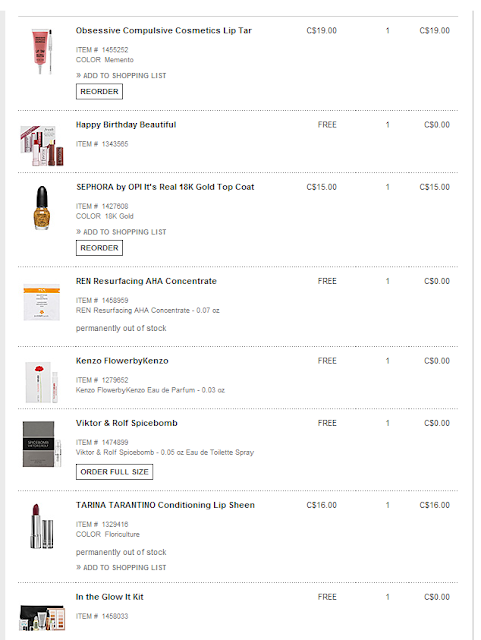 I didn't have a fantastic first experience with Sephora online because it was just so freakin' unbelievably slow to Canada! But really, I couldn't deny that other than the crazy amount of time it takes to get an order, it's pretty good because of the bonuses. 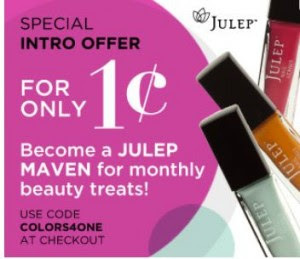 I felt a need to put an order through since it's my birthday time of year and I was not going to go to a real-life Sephora store to get the Fresh Sugar Kisses Mini Lip Duo. Basically I had until today to make that order or I lost this gift - and I'd been wanting to try it! Click HERE to see the It Kit options. I think it's a really nice bonus to have on your order! Nice! Congrats. I too placed a bday order and I'm so psyched to get it, when my mom brings it. I'll probably post about it too! I just looked at the It Kits and wow, very cool! omg i want to make an order now! but do we have to pay the duties? No, our Canadian prices are marked up to include all that stuff. The shipping is like 7.99$ I think or free for orders over 75$. I'm so down with myself about my blog lately because I have posts I want to make that I just am not getting around to... I definitely hope to post about this order though! OCC Lip Tars all the way! Hope we get to see what it looks like on you! I want Memento too!